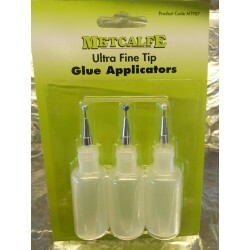 Card Kits N There are 3 products. 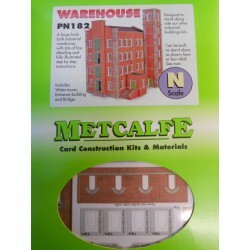 ** Metcalfe PN182 Warehouse, includes Water Tower, Entrance Building and Bridge. 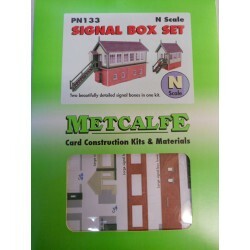 ** Metcalfe PN133 Signal Box Set, includes 1 x Small Signal Box, 1 x Lamp Hut + Platelayers Hut and Large Signal Box.